Burj Dubai, the world’s tallest building developed by Emaar Properties, set several global milestones in high-rise construction in 2008, an epoch-making year for the tower. 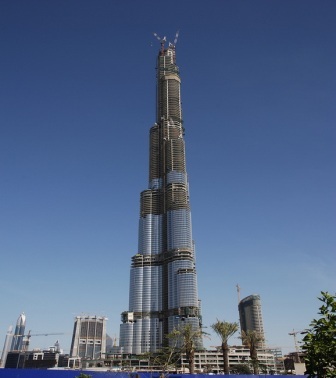 On course to open in 2009, Burj Dubai has reached a record 780 metres (2,559 ft) height, and has over 160 storeys, the most number of floors in any building. A mixed-use tower, Burj Dubai will have residences and commercial spaces apart from The Armani Hotel Dubai, and Armani Residences, luxury hospitality ventures by Emaar in association with haute couture major Giorgio Armani S.p.A. Burj Dubai will also have recreational facilities and entertainment venues including four luxurious pools and a cigar club, a library, exclusive residents’ lounge, serviced residences, 15,000 sq ft of fitness facilities and a public observatory on level 124.